Where there’s a will, there’s a way. And where there’s a will to fly in the face of both common sense and overwhelming evidence, you better believe there will always be a way to fight the legalization of cannabis. Which is precisely why a few months back, council members in Colorado Springs made the decision to wage war on the city’s legally operating cannabis clubs. Well, we say ‘wage war’, but what actually happened was more of a dictatorship-esque decision to take a big step backwards. Long story short, the council decided that it was in the best interests of the public (?) to ban any new cannabis clubs from opening their doors, while at the same time giving existing clubs eight years to shut down. Eight years…more than enough time to prove just how positive they really are, but in this instance eight years to pack up and disappear. Still, it’s not like the Colorado cannabis community will roll over and play dead when it comes to such issues. And nor have they, as a growing number of those running this particular city’s famed cannabis clubs mount their own unique counter-attacks. But rather than simply saying ‘this is how it is, deal with it’ as the authorities tend to, they’re instead actively demonstrating how cannabis clubs can be beneficial. Once again, it’s the time-old tale of evidence and common sense going up against archaic nonsense and prejudice…a modern standard we could really do with ousting. Take one Steve Pacheco for example, currently the owner of Colorado Springs cannabis club ‘The Pothole. He’s on a mission to show just how beneficial these clubs can be for the community, having begun a drive to help clean up the city. It’s not exactly the most complex of concepts, but it’s nonetheless the very definition of genius. Quite simply, he’s pulled together a team of about 100 people, charged with the task of getting busy cleaning up trash and beautifying the city. And as a reward for doing the right thing…well, you can probably guess what he’s offering. “The law is the law and whether you’re my friend or a stranger off the street, if you’re 21 years of age or older, I can give you weed,” Pacheco told local reporters. His offer is relatively straightforward – every time you collect and deliver a bag of trash, you’ll be handed a free joint for your efforts. Which in turn means that he himself is basically funding a 100-strong trash-removal effort for the city, without asking anything in return. What’s more, he told local press officers that this is just one example of the kinds of community services these kinds of clubs are carrying out, it’s just that the vast majority tend to go unreported and uncelebrated. Probably because the media is too busy panning anyone who even considers cannabis to be a positive thing. “We’ve done many positive things in the neighbourhood. We just don’t make it public,” he added. As for those taking part, volunteers have spoken of the way in which the benefits of these kinds of initiatives extend far beyond cleaning the streets and scoring free weed. Instead, they represent fantastic opportunities for people to make friends, come together as a community and discuss other initiatives to make a difference. And not only were free joints handed out for each bag of trash collected, but Pacheco even put on a free lunch for everybody that took part. He pays for absolutely everything out of his own pocket and asks for nothing in return, but insists that it is more than worthwhile given the positives it brings to the community. “It’s going to cost me something, but it’s all for a good cause,” Pacheco said. Despite lawmakers having the decision to permanently close cannabis clubs like his, Pacheco remains adamant that his efforts to encourage community service will only continue intensifying going forward. And he’s not alone either, as he told reporters that there were at least seven other clubs across the city just like his, which were also running their own community service programs in return for free joints. He remains adamant that to close or restrict cannabis clubs unnecessarily will only stand to harm the community as a whole and will bring absolutely nothing positive to Colorado Springs. Still, the city has made it more than apparent that they intend to press on, even if evidence suggests that doing so is not a good idea. The council’s insistence on going ahead with the ban was illustrated quite clear last week, when cease-and-desist letters were sent to no less than nine cannabis consumption clubs across Colorado. This represented the first pre-emptive strike on the part of the City Clerk’s Office, since the ban itself was approved back in march. 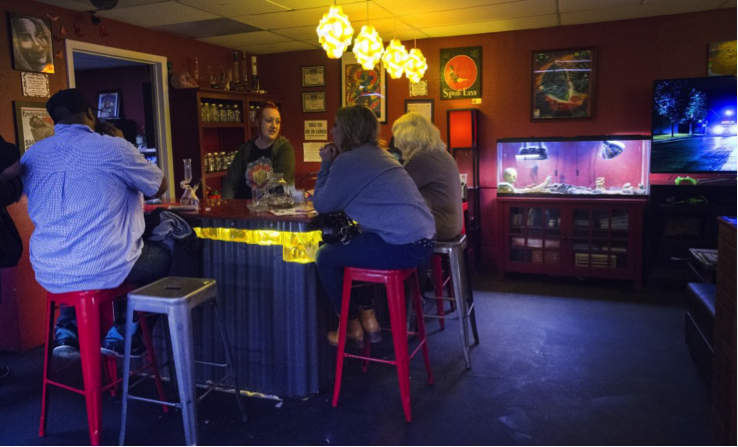 When Amendment 64 was passed four years ago, it led to the immediate establishment and opening of countless cannabis clubs across Colorado Springs. The amendment formally made it legal for recreational marijuana to be both sold and consumed by the public, though did not in any way affect existing laws on public use. 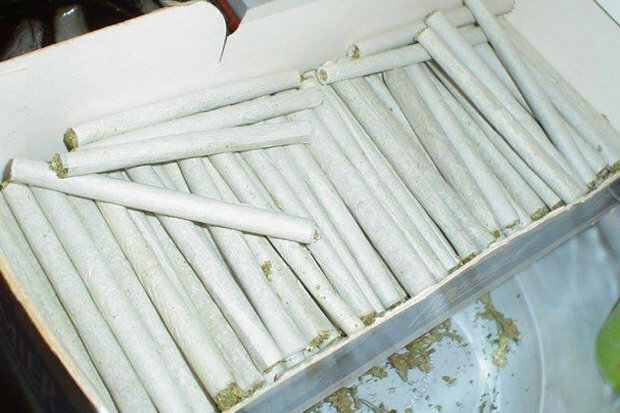 Given that public consumption of marijuana remained illegal, cannabis clubs were opened as a means by which to give the cannabis community a safe, secure and enjoyable place to both consume cannabis and socialise with other cannabis users. In the vast majority of international territories where cannabis has been decriminalized, the opening and use of cannabis clubs has been actively encouraged by local authorities, as a means to minimise public consumption. It was some time ago that recreational marijuana sales were outlawed in Colorado Springs by local authorities, but the city’s cannabis clubs managed to find a loophole that enabled them to carry on selling to their customers. It basically involved customers signing affidavits permitting the clubs to grow cannabis plants on their behalf, or legally ‘trading’ cannabis for memberships. Their trade therefore continued, though the new law made official as of March will now make it entirely illegal for cannabis clubs to in any way distribute, give, trade, sell or provide cannabis in any way, shape or form. There was at least a small mercy to the law for certain cannabis clubs…albeit one of cold comfort if nothing else. For those cannabis clubs that were up and running before Sept. 23, 2015, their owners have been given a period of eight years by the end of which they need to permanently close their businesses. This is apparently a measure geared towards helping the more established business owners look after their investments and avoid heavy losses. Nevertheless, it was made necessary for club owners to apply for permission to remain open for the next eight years – records showing that only FIVE clubs in the city did so. Worse still, the annual licensing that enables cannabis clubs to stay open throughout the eight-year grace period has so far been granted to just one cannabis club: Speakeasy Vape Lounge and Cannabis Club, at 2308 E. Bijou St. According to local authorities two applications have been denied and the remaining two are still being considered. Just as those that were not already in business by Sept. 23, 2015, the clubs denied the annual licensing will be forced to shut down with immediate notice. According to the executive director of the Southern Colorado Cannabis Council, Jason Warf, plenty of those affected by the recent barrage of cease-and-desist orders have every intention of appealing. In addition, nine of the clubs ordered to close their doors filed a lawsuit shortly after the original ban was approved, insisting that the change in the law goes against the owners’ constitutional rights. Despite the fact that local authorities have been relatively heavy-handed with regard to the decisions taken, Warf nonetheless said that he was surprised the cease-and-desist orders had been sent out. “This comes after years of these clubs operating without incident,” he said. Despite the fact that cannabis legalization is being embraced across much of Colorado and is known to have had a beneficial impact on so many communities, Colorado Springs remains one of the strictest adversaries of recreational marijuana. This, despite the fact that experts like Warf continued to insist that cannabis clubs are of the utmost importance, as a means by which to both provide the cannabis community with a safe place for cannabis consumption and generating valuable tax dollars for the local community. “Clubs also provide a safe, private place for the tens of thousands of tourists visiting Colorado primarily for legal cannabis. Right now they are unable to provide this space,” he said. Perhaps even more annoying, even the local police force has stated that cannabis clubs have caused absolutely no trouble whatsoever. But still, where there’s a will to erode progress and spit in the face of common sense, there’s a way.